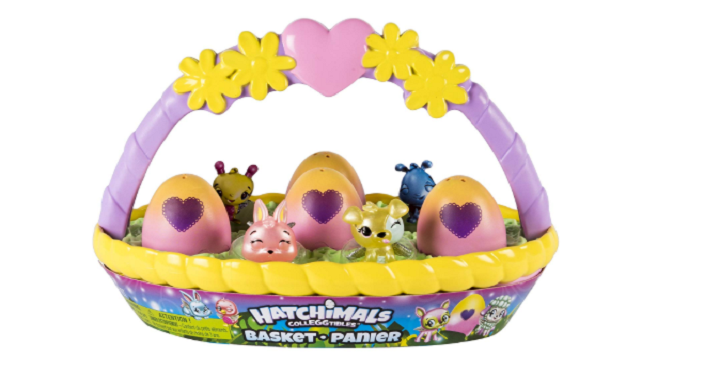 Hatchimals CollEGGtibles Spring Basket Only $9.35! Oh, I know what my 6 yr old will be getting for Easter! This is perfect! Right now on Amazon, you can get this Hatchimals CollEGGtibles Spring Basket Set for Only $9.35!! Celebrate the Hatchimals way with the Hatchimals CollEGGtibles Basket. This beautiful basket is filled with exciting new friends. Inside you’ll find six exclusive Hatchimals: four in-egg and two out-of-egg. Hatch and care for your friends, then use the heart-shaped handle to carry them everywhere you go.